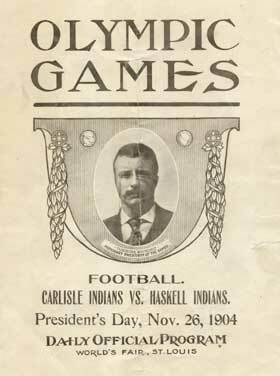 In 1907, ‘Pop’ Warner returned to Carlisle. Together he and the Indians developed a new formation that would revolutionize football. The single wing shifted the halfback out wide, to outflank the opposing tackle. The new offense formed a shape that look like a wing. It opened up options and disguised intentions. The ability to show one thing and do another combined with the new rules made it possible to run, throw or kick at any time. ‘Pop’ Warner unveiled the new formation against the University of Pennsylvania, on Oct. 26, 1907. I have read that the single-wing was unleashed in several different years due to Pop Warner’s inconsistent memory and writers’ imaginations. After researching this topic a bit, I came to believe that the single-wing did not arrive fully formed as the unbalanced-line, direct snap version depicted as Formation A in Warner’s 1927 book. I have concluded that the formation evolved over time as Warner implied on page 136 of his 1927 classic where he stated that it was first used by the Carlisle Indians and that he had used it or variations of it since the rules change of 1906. 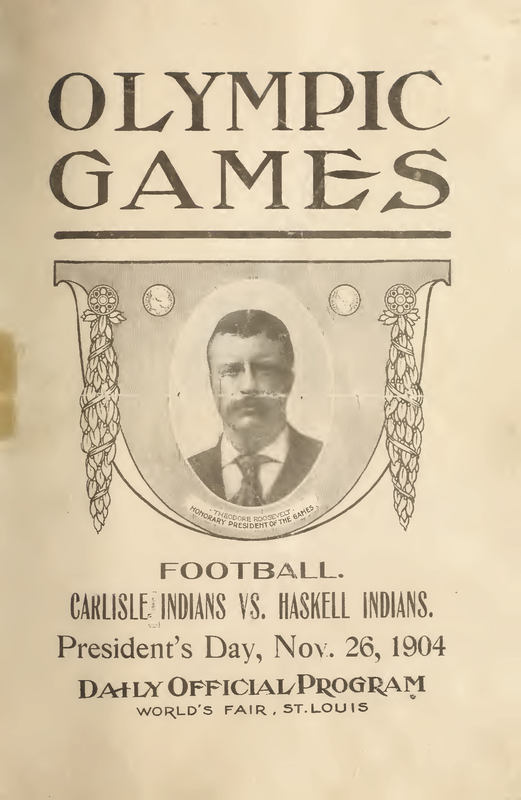 That he spent a week in Carlisle before the start of the season preparing coaches Bemus Pierce and Frank Hudson for the rule changes gives credibility for it having been first used by the Indians in 1906 when he wasn’t their coach. Fortunately, some documentation exists. Warner began marketing a correspondence course on football in 1908 for which I have located and have reprinted the Offense pamphlet along with its annual updates. The 1908 pamphlet includes a number of offensive formations, which is not surprising as Warner was noted for tinkering with them. That newspaper coverage of the 1907 Penn game mentioned that multiple formations were used is not surprising. 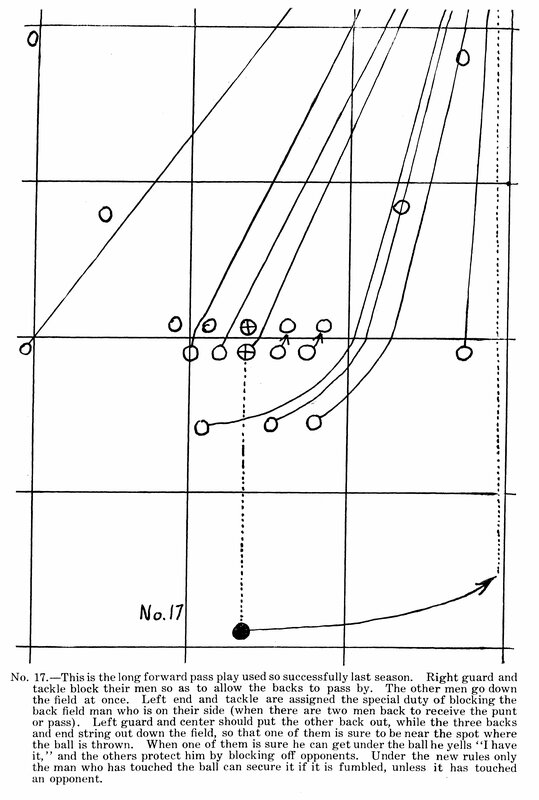 However, it is far from clear that end-back formation, the earliest documented version of Warner’s single-wing, was the formation being described for many of the plays as it didn’t feature a direct snap to a running back. That would come later. However, the punt formation did allow direct snaps to the backs and Warner had devised a set of running and passing plays from this formation. He even described Play No. 17 thusly, “This is the long forward pass play used so successfully last season.” Last season would have been 1907, so this is likely the formation from which Frank Mt. Pleasant and Pete Hauser completed all those passes, not an early incarnation of the single-wing. ‘Pop’ Warner unveiled the new [single-wing] formation against the University of Pennsylvania, on Oct. 26, 1907. So far that season no team had crossed the Quaker’s goal line. Carlisle was undefeated. A large crowd of 22,800 fans looked on. They were expecting a good game but they got more than they bargained for. Carlisle scored on the second play: a 40 yard pass from Hauser to Gardner, caught on the run. The diversified offense racked up 402 yards, to 76 yards for Penn., Carlisle went 8 of 16 passing. The game also marked the debut of Jim Thorpe. He broke free for 45 yards the second time he touched the ball. The Indians won 26 – 6. After finding this, I set about locating game accounts in period newspapers. Before resolving the issue of the single-wing, I noticed a significant error—or the sports writers of the day had it all wrong. Nowhere did I find mention of (William) Gardner scoring a touchdown or anything else in that game. What I did find in the coverage by The Washington Post, The New York Times, United Press and other wire service accounts was that the Indians’ first score came on a field goal kicked by Pete Hauser early in the game. That score was followed by Fritz Hendricks’ 100-yard touchdown run after picking up Hollenbach’s fumble. Payne closed out the first-half scoring with a touchdown of his own around Penn’s end from the 4-yard line. Penn played better in the second half and didn’t allow Carlisle an offensive touchdown. However, Little Boy scored his touchdown by diving on a Penn punt that Albert Exendine had blocked and fell behind their goal line. Hauser closed out Carlisle’s scoring with a second field goal. Frank Mt. Pleasant kick the extra points after each touchdown. Although Mt. Pleasant and Hauser received much praise for their passing in this game, none of their tosses went for a touchdown to Gardner or anyone else. The next blog will deal with the errors related to Jim Thorpe and the single-wing. 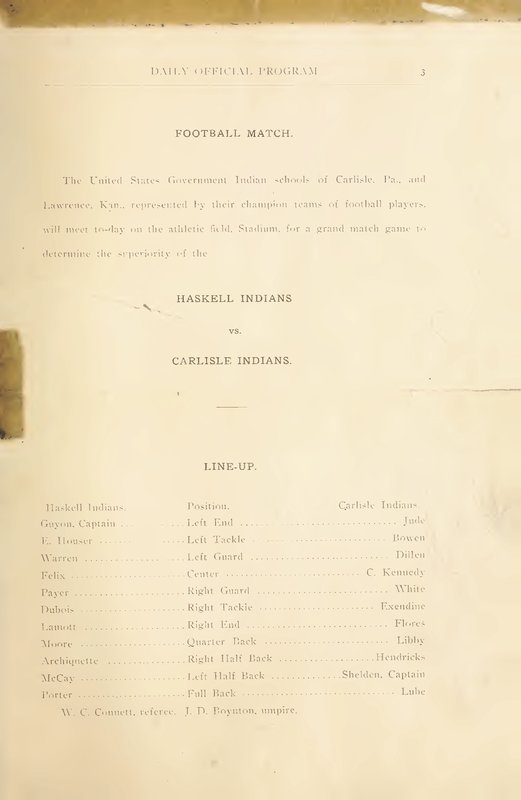 Today we talk about what actually happened in the game played on November 16, 1910 between Carlisle Indian School and the Harvard Law. The game against the Indians was the second game for Hamilton Fish’s all stars. On October 19, Harvard Law played the Harvard varsity and lost 6 to 0 due to fumbling the ball. Their defense was strong as they allowed only two field goals. The varsity only allowed one team to score against them in their 8-0-1 season that ended with a scoreless tie with arch-rival Yale. Captain Pete Hauser had not recovered sufficiently from the injuries he received in the Navy game to play against Harvard Law. In his place was his brother, Emil Hauser, who was listed in the line-up as Wauseka. Wauseka normally played at tackle but returned from the injured list to fill in for his brother in the backfield. He spent most of the season coaching the second team because he wasn’t able to play. The All-star vs. Carlisle game was the talk of the town yesterday. “By jove, I wish I had been out there; I am sorry I missed it,” was the constant refrain all day. Those who saw the game maintained that it “was the best ever,” and that it was a splendid thing for the sport. It was a one-man contest, however, for F. B. Philbin, the fleet Yale half back, ran the team front quarter back’s position, where he took direct passes either for a dash around the end on his own account or to hurl a forward pass. The Indians played entirely on the defensive except for a brief spurt in the fourth period. The only scoring in the game was a 15-yard field goal Steve Philbin kicked in the first quarter. The first half was all Harvard Law as they had the ball inside Carlisle’s 25-yard line twice and on their 8-yard line once in the second quarter, but the Indian defense held.